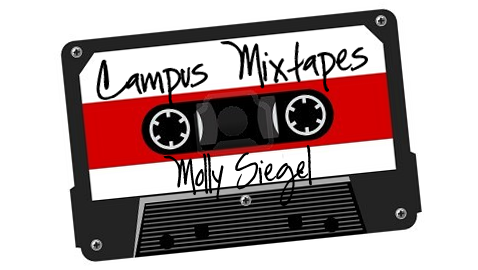 Molly Siegel ’12 is a Biology major and English Literature minor, with interests in reproductive endocrinology and 20th century American novels. In her free time she enjoys swimming in small bodies of water (no chance of drowning in rip tides), researching recently discovered dinosaurs, texting with emoticons, drinking piña coladas, and getting caught in the rain. These are her favorite morning tracks. I mostly listen to music while getting ready in the morning. I’m a morning person, and this music really sets my day off to a good start while being great to sing along to. I enjoy songs with a good hook and catchy lyrics, mostly by female singers. I’m also a huge proponent of pop-country-hybrid music (it’s underrated). These songs are sweet and sad and joyful, some all at once. I usually end with “Summer Girl,” because it sets a great rhythm to my day. Enjoy! Hey that’s my cousin!! You’re famous Molly! Love it! Check out this one if you’ve never heard it, it’s called “I’m Free” by the Soup Dragons. Love!